New Grub Street (1891) owes its justified pre-eminence in Gissing’s work to the coherence with which it embodies one man’s version of cultural crisis. We shall need to consider the extent to which the novel’s vision coincides with and deviates from changing historical actualities. 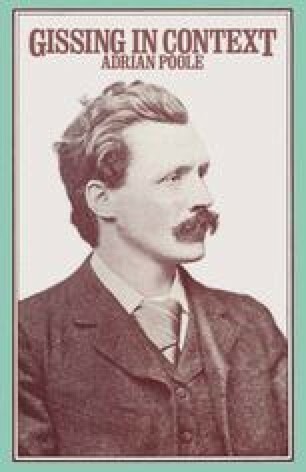 But in order to understand its imaginative context, we must also look at the images of the writer most influential on Gissing himself, and most prevalent among his contemporaries.